The journey makes you a pilgrim. Because the way to Santiago is not only a track to be walked in order to get somewhere, nor is it a test to reach any reward. 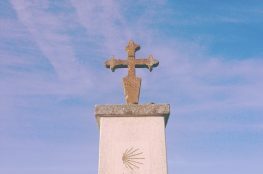 El Camino de Santiago is a parable and a reality at the same time, because it is done both within and outside in the specific time it takes to walk each stage, and along the entire life if only you allow the Camino to inhabit you, to transform you and make you to a pilgrim. The Camino makes you brother/sister. Whatever you have you must be ready to share because even if you started on your own, you will meet companions. 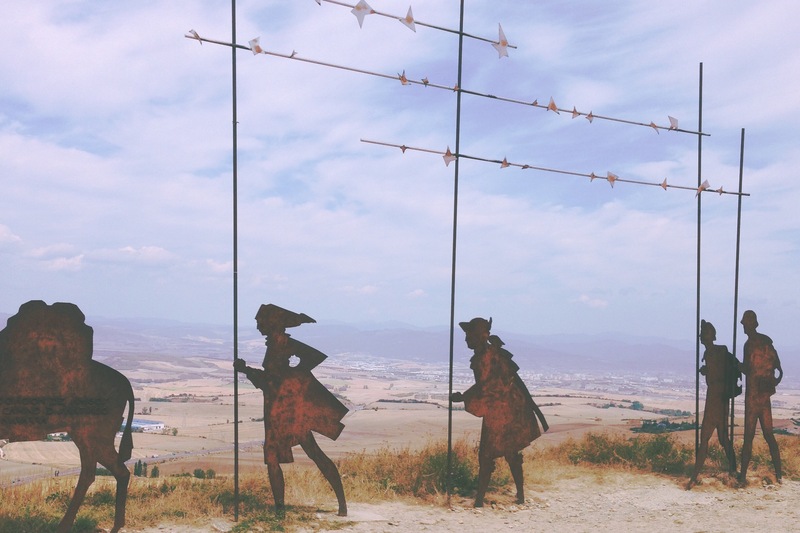 The Camino breeds about community: community that greets the other, that takes intrest in how the walk is going for the other, that talks and shares with the other. The Camino makes demands on you. You must get up even before the sun in spite of tiredness or blisters; you must walk in the darkness of the night while dawn in growing, you must just get the rest that will keep you going. 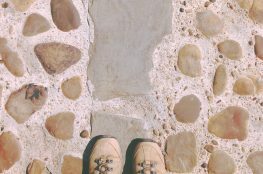 The Camino calls you to contemplate, to be amazed, to welcome, to interiorize, to stop, to be quiet, to listen to, to admire, to bless… nature, our companions on the journey, our own selves, God. Første gang jeg hørte det, var det bare ord, og jeg tænkte; bla bla bla – GUD..!! I takt med at min tur skred frem, glemte jeg alt om det igen.. I stedet oplevede jeg det hele, som det stod skrevet; At turen ikke er målet i sig selv, at et simpelt liv kan skabe stor lykke, at man deler alt med fremmede, at man hilser og interesserer sig for sine vandrer-venner, at man udfordres på og overkommer alt, og at man fordybes, forundres og beundrer..
Det lyder søgt – men det er sandt; jeg skulle gå 800 km for at forstå, hvad det gik ud på.. Lige med undtagelse af Gud – ham har jeg stadig ikke fundet..!! Jeg tror ikke i sig selv, at det jeg lærte på min tur, er specifikt for Caminoen – det gælder generelt for alle langdistance vandreture. .. Men Caminoen er et rigtig godt sted at starte! 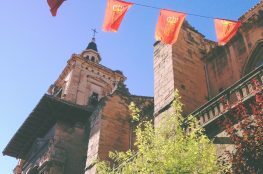 Man bliver hjulpet på vej af et fælles mål – Santiago de Compostella – uanset om udgangspunktet er religiøst, spirituelt, kulturelt eller egenrådigt. Det handler kun om at gå!! .. og resten finder man ud af hen ad vejen! !